The 12th Annual Maryland Day 2019 celebration begins March 29th and ends March 31st. With a packed schedule of events all over Annapolis and the rest of Anne Arundel County, you’ll want to stay the entire weekend! We have marinas all over to keep you in close proximity to the events to make travel easy and the weekend one to remember. Maryland Day encourages people to explore the culture and heritage of the state. With a rich history dating back to the original colonies and the Founding Fathers, it is easy to find something interesting everywhere you go! Combined with Maryland’s maritime culture, there will be fun events for boaters and landlubbers alike. All events have either $1.00 admission or are completely free! Don’t miss out and take the family around to really experience Maryland. The Banneker Douglass Museum works to document and exhibit the rich culture and history of African-American Culture in Maryland. The current exhibitions will be open to the public, and artist Lawrence Hurst will be exhibiting over fifty years of work. A highlight will be Songs of the Caged Bird, which has been inspired by Maya Angelou and curated by Lillian Thomas Burwell. The Maryland State House is a must see during Maryland Day, especially if you haven’t been before. 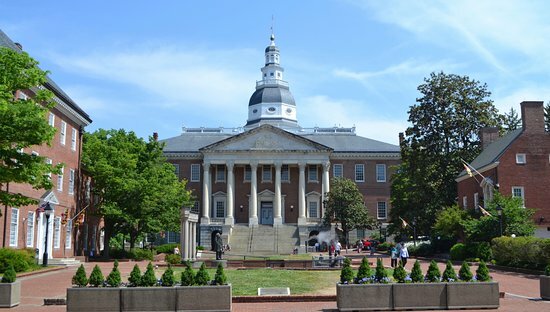 The State House in Annapolis is the oldest legislative building still in use today. Maryland State Archives Staff will be present to answer questions and guide people through history. With free admission, guests can come see the beautiful interior and the refurbished sections. The State House will be highlighting important historical events that have occurred in the capital. The Maryland Hall galleries will feature Joanne S. Scott and Tony Spencer. London Town house and gardens feature the rich history of the old colonial town. On Saturday and Sunday, there will be demonstrations featuring costumed guides, where you can learn different trades and how they used to be done. While in Edgewater, rideshare over to beautiful Davidsonville for an exploration of the historical plants and gardens of Maryland at Homestead Gardens. State Circle will present art, crafts, jewelry, and handmade goods from local artists! 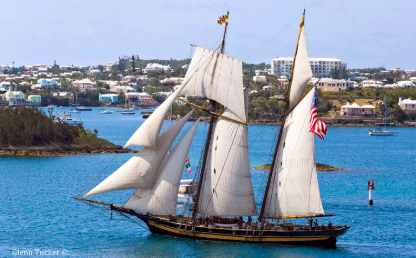 The Pride of Baltimore II is coming to port all weekend! Visitors can board the ship, speak with her crew and captain, and learn all about sailing a tall ship. Come experience an amazing flag-raising ceremony presented by Four Rivers Heritage Area and other partners. Live performance by the Annapolis Drum and Bugle Corps and detail by USNA League Cadets. After the flag-raising ceremony, visitors can tour the park, the Naval Academy, St. John’s College, and a section of the Annapolis Historic district. For more marinas, please visit our interactive map!